GOD is serious and we must relate in a serious way to Him. GOD reduced the world to eight persons in Noah’s day because of man’s repeated sin (2 Pet 2:5). GOD did not speak to Abram for thirteen years after the birth of Ishmael (Gen 16:16; 17:1). This was because Sarai and Abram did not believe Him seriously about the promise of an heir. 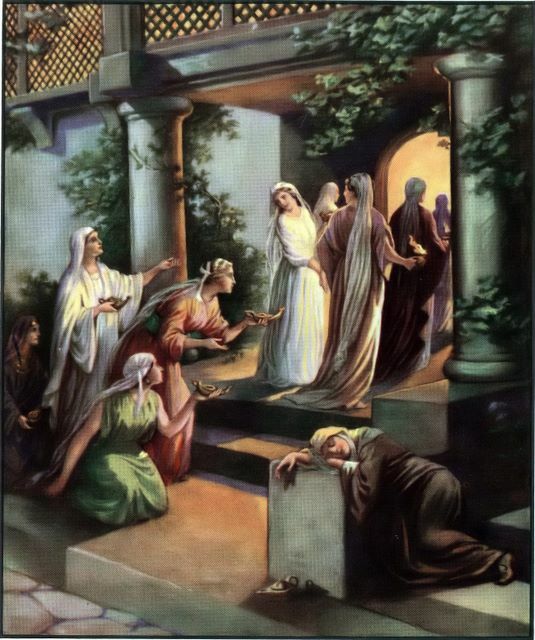 Lot’s wife was turned into a pillar of salt because of disobedience: she failed to appreciate the seriousness of GOD’s simple instruction not to look back on the destruction of Sodom and Gomorrah. Except for Caleb and Joshua, GOD denied entry into the Promised Land to the whole generation who had fled Egypt. This was due their serious lack of faith in His promises to them. They were then left to travel indefinitely for over 40 years until they dropped dead. In the Promised Land, the Israelites were defeated at times by the very pagan culture that they repeatedly followed: they did not take GOD’s many warnings, seriously enough. The portraits of Christ by most artists have little basis in scripture. A serious portrait of Christ is in Revelation 1:13-17; his eyes flashed like fire, and his appearance radiated like the sun, to the point where Apostle John nearly collapsed to death in His presence on Patmos island. Another serious portrait of Christ is in Matthew 21:12 and John 2:14. 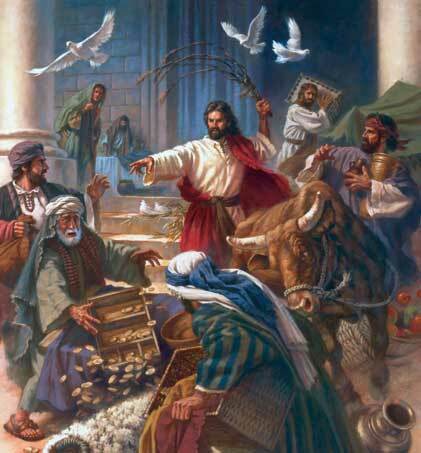 Christ drove out buyers and sellers and their livestock, from the temple with a whip and overturned seats and tables. The temple was GOD’s house of prayer: they turned it into a trade centre. Christ shows us in Revelation 2 & 3 that He is serious about His church and He continually audits its spiritual compliance. Seven churches were put under the microscope. W Arthur Matthews, an OMF missionary warned us that we must not use GOD as, what he terms an emergency ambulance service, when it comes to prayer. Prayer, if regarded seriously, must be more prepared for rather than be a reaction to a crisis. A W Tozer, the Christian & Missionary Alliance preacher says that sometimes we are detached from GOD by the circumstances that we are in: we act without conscious contact with GOD. We tend to function on our own at times. Twenty times in the New Testament, we are told to “watch” and it is Christ who warns us mostly. The end of the world would take place in a moment, in the twinkling of an eye, (1 Corinthians 15:56). We need to be prepared for that single, unexpected occasion when the bride arrives for His church (Matthew 25:1-13). GOD was so serious about saving us from hell that He came down to earth to ransom us from the price and power of sin. Serious worship is not entertainment. Serious prayer is not touch-and-go with GOD. A serious church is not a middle-class club. In a serious context, the LORD’s Supper is not a sentimental memorial service. It is instead, a serious and solemn reminder of the urgent call for the world-wide spread of the gospel. Note: Tony Dibble worships at Endeavour Christian Gathering in Mullaloo Perth, Australia for about 7 years. Prior to this, he was at Church of Our Holy Saviour, Labuan, East Malaysia. When he is in Kuala Lumpur, he now worships at Faith Oasis Fellowship Subang Jaya, Selangor. Michael W. Smith- Songwriter and Singer of All Times! Yes, God is Real and Seriuos!